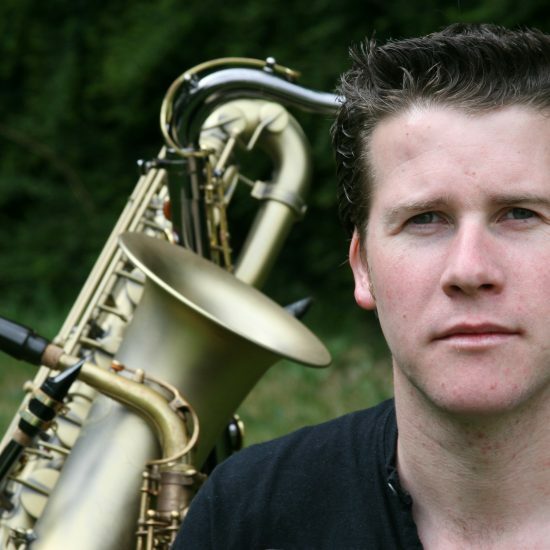 Simon began his career with the National Youth Jazz Orchestra and the Pendulum Jazz Orchestra, performing alongside the likes of Jazz Stars Art Themen, Gerard Presencer, Jamie Cullum and Peter King. After being a winner in the Daily Telegraph ‘Young Jazz’ competition, and a finalist in the ‘Young Jazz Musician of the Year’, Simon gained a place at the Royal Academy of Music, and was selected to join UK drummer Clark Tracey’s acclaimed Quintet, winning further awards and touring the UK over 7 years. Simon is also a member of the Laurence Cottle All Star Big Band, and works with Colin Towns Mask Orchestra for the Birmingham Royal Ballet, the Matthew Herbert Big Band, touring around Germany, China, Belgium and Poland. He has appeared at major UK venues and festivals including Ronnie Scott’s, the Barbican and Brecon Jazz Festival, and worked with an astonishing array of top musicians from the jazz and pop world.Between 2005-2013 Simon was featured in the late Stan Tracey CBE’s various groups, and is featured on his final two quartet recordings, as well as octet and big band album releases. Simon appeared on Jools Holland’s ‘Later’ TV show performing a track from the album ‘Senior Moment’. Outside of jazz, Simon leads a horn section which among others has backed Phil Collins, Eric Clapton and Paul McCartney. He has recorded and played live with Robbie Williams, Beverley Knight, Katie Melua, Jamie Cullum and many others. He is featured on the soundtracks of Tim Burton’s ‘Alice in Wonderland’ and Sujoy Ghosh’s ‘Aladdin’, and in 2014 played for the Strictly Come Dancing UK arena tour. Simon has also recently released an album under his own name, ‘Any Minute Now – Simon Allen Quintet’, featuring Laurence Cottle, Martin Shaw, Tom Cawley and Mike Bradley. In 2014 Simon was appointed Head of Jazz here at The Purcell School.